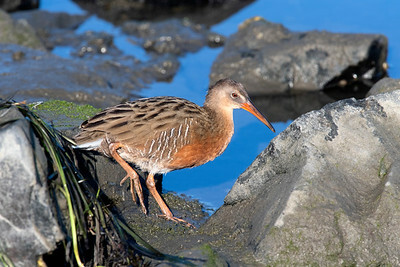 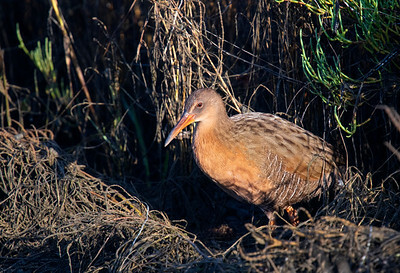 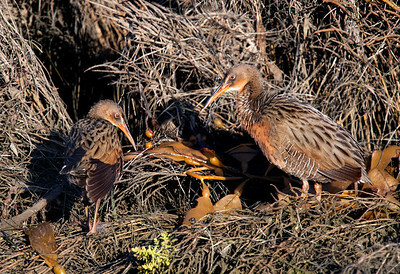 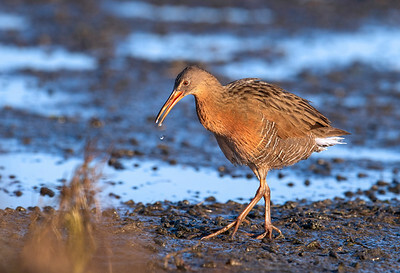 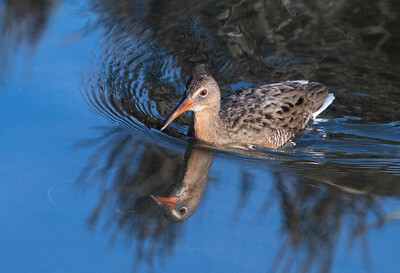 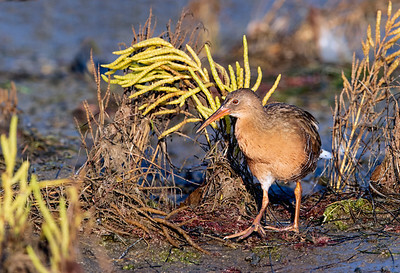 Ridgway's Rail is a handsome gray-and-rusty bird that lives most of its life concealed in dense vegetation. 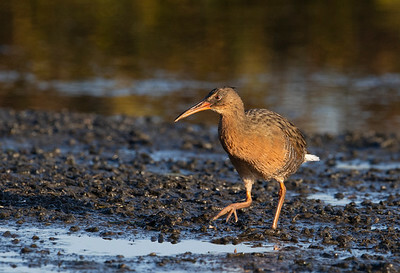 It uses its formidable bill to probe into muddy wetlands for invertebrate prey. 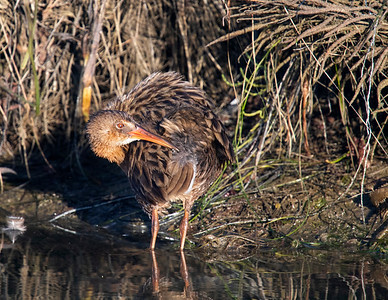 It lives in saltwater marshes, freshwater marshes, and mangrove swamps in California, Arizona, Nevada, and coastal western Mexico. 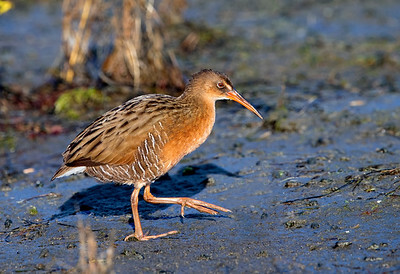 Populations are declining largely due to wetland loss and degradation, and the species is listed in the U.S. as federally endangered. 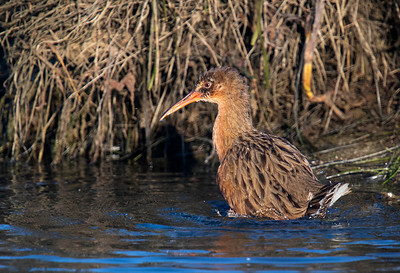 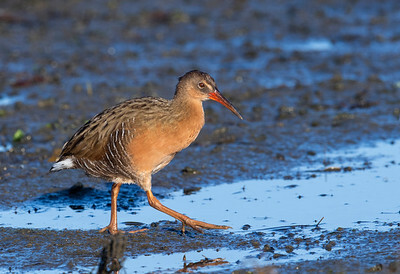 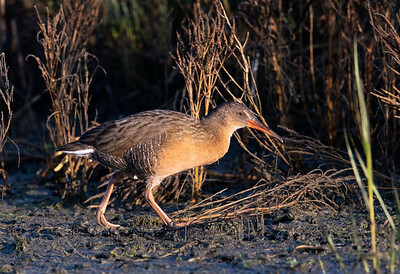 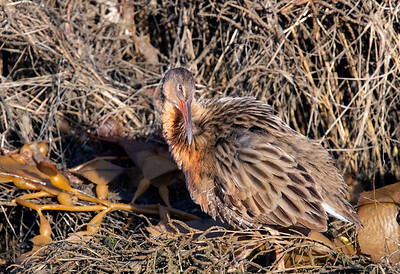 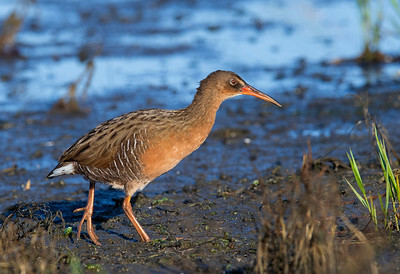 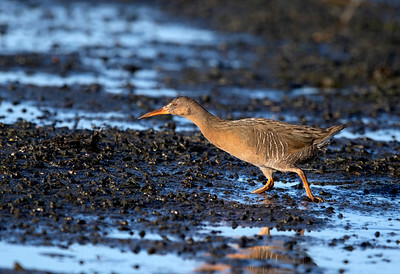 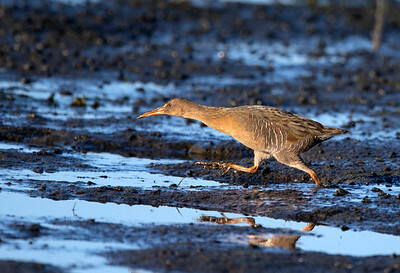 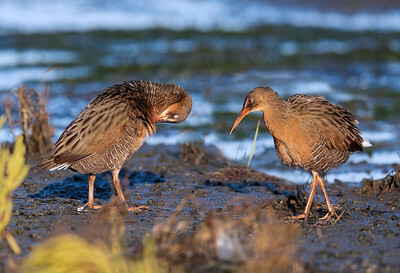 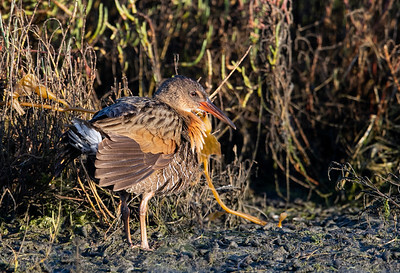 This species and Clapper Rail were considered the same species (along with Mangrove Rail) until 2014.